In this Nov. 25, 2017, file photo, #ShopSmall stickers are pictured at the Boston General Store in Coolidge Corner in Brookline, MA on Small Business Saturday. 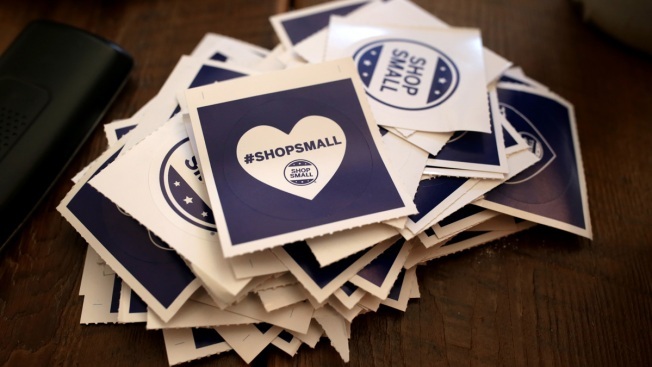 American Express launched Small Business Saturday in 2010 in the aftermath of the Great Recession, and thousands of businesses across America participate in the annual event. Brian Beevers is the owner of Simply Local San Diego. His store is one of many small shops taking part in Small Business Saturday on Nov. 24 – the Saturday after Black Friday that urges consumers to spend their money shopping for holiday gifts at local, independently-owned shops rather than big box retailers. 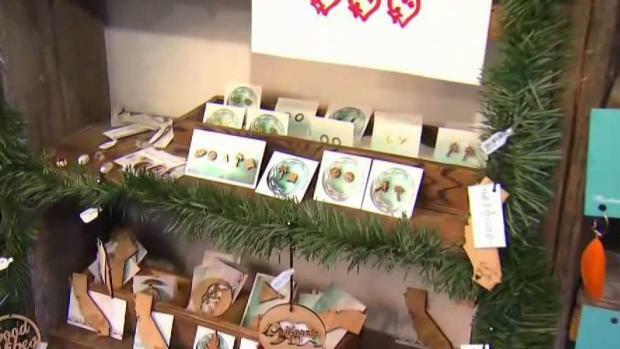 "Shopping local has a ripple effect across everything," he told NBC 7. "First off, you’re supporting a local artist that spends a lot of hours and time on each product. Not only do you have a product that’s built with so much more love than a manufactured item, you have a product that’s supporting a family, directly. You have a product that is only locally-found; you have a product that is actually creating shops like this that support many artists." NBC 7's Ramon Galindo visits Simply Local in North Park, a small business taking part in Small Business Saturday, a day to shop at local stores and support the local economy. “North Park businesses employ local and it’s better for the environment to shop local. There are so many reasons why shopping local is where it’s at,” she added. 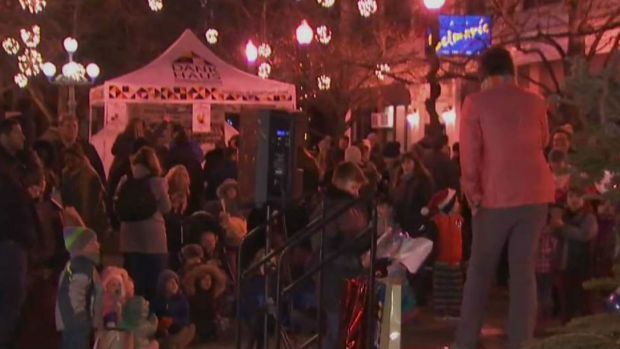 Stores in Lincoln Square, a community in Chicago, are pulling out all the stops this holiday season to get shoppers off the couch and into retailers by creating immersive, exhilarating experiences, complete with Christmas carolers, bands, and a tree lighting ceremony. Local businesses celebrated Small Business Saturday this weekend, and NBC 5's Chris Hush has the latest on how they looked to attract customers. Scott Friedland, the owner of Timeless Toys Chicago, says he expects sales to quadruple sales over a normal Saturday because of the event, and says that “Small Business Saturday” has helped grow his business. “We’re here to find what the best toy is for the child you’re shopping for, and not just what the most popular toy is,” he said. 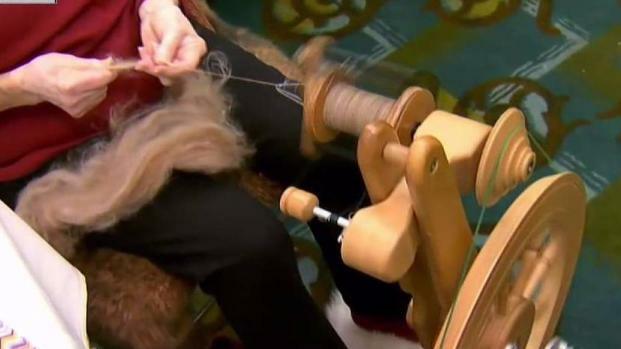 In the age of Amazon and Cyber Monday deals, Arla Rosmarin from Milford, Connecticut prefers to do her holiday shopping the old fashion way. "You can see everything and you can touch it actually and feel if the fabric is soft and they have unique things," she added. Saturday is Small Business Saturday and we're looking at the local effort to support our businesses. In Coral Gables, Florida, Jeffrey Wolfe of Wolfe's Wine Shop said, "When you buy a bottle of wine from me I get to keep socks on my kids...I get to give them guitar lessons...it's keeping money in the community, but also supporting my family." NBC 6's Erika Glover is previewing what businesses in South Florida are offering on Small Business Saturday. Merrimack Valley, a bi-state region in New Hampshire and Massachusetts is counting on its community to help them bounce back after a series of gas explosions in September. NECN spoke to the president of Merrimack Valley Chamber of Commerce, Joe Bevilacqua, a few months ago about how the gas explosions have impacted the local economy. “This is all about community, and being able to go and support people we love and know,” said Kristi Soto, a shopper in Dallas, Texas. 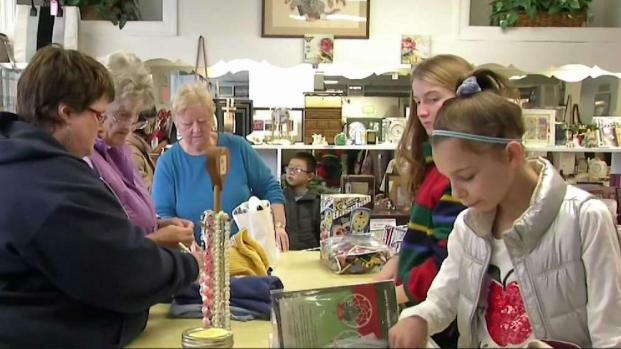 A new economic study commissioned by American Express says that 67 cents of every dollar spent at a small business stays in the local community. Since Small Business Saturday started, U.S. customers have reported spending an estimated total of $85 billion at independent retailers and restaurants.